Seems Like Google Keyword Planner Tool May Not Be Available For Free. recently i tried to make use of my keyword research software to do a keyword search on google keyword planner but got an unusual result from the monthly local search and a warning message saying “This page shows ranges for search volumes. For a more detailed view, set up and run a campaign.”. i tried to figure out why the result was displaying an unusual range monthly search result instead of actual monthly search result. i had to login to google keyword planner directly to confirm if it was the software i am using that is having issue or google keyword planner is having issue. “This page shows ranges for search volumes. For a more detailed view, set up and run a campaign.”guess you also got the same error when you tried to make use of google keyword planner tool as of recent. i don't know about now because the result keeps displaying range searches result instead of actual monthly searches. 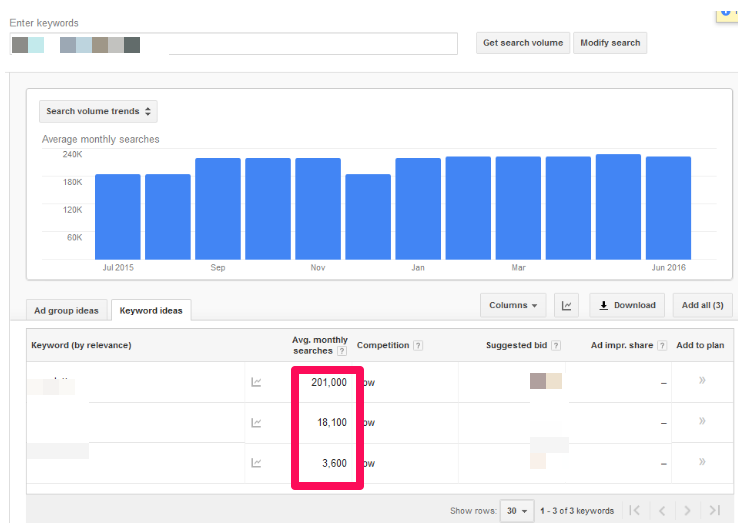 i was surprised to see the same result on showing range monthly local search result instead of actual monthly search. it seems that google is working on making the keyword planner with better result available for those who are running advert campaigns via adword. this means that if actually this is true, you won't be able to see the actual search result data on google keyword planner when doing a keyword research, instead it will display range monthly search instead of what it used to display. for example instead of the search result data to display actual monthly search on google keyword planner like this monthly search result 1500, it will display a range search like this " average monthly search 1k-10k" . you can see the difference. 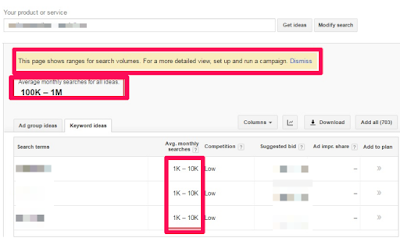 with such kind of range monthly search result data from google keyword planner tool, you won't get the actual volume of people that are searching for such keyword because if the search is actually 1500, it will be displayed in ranges as 1k-10 instead of displaying 1500 and it will also display a warning message “This page shows ranges for search volumes. For a more detailed view, set up and run a campaign.” this leaves you in guess mode which is not cool. i guess google knows what they are about to do because even those who wish to run advert via google adword would love to know the actual monthly search results data from google keyword planner instead of displaying it in ranges for potential customer to guess how many people are searching for such keyword. a new customer would be confused as to whether to use their adword to run campaigns with such kind of result since its not displaying what they are actually looking for because it seems google is planning to restrict users who don't have a running advert campaigns. 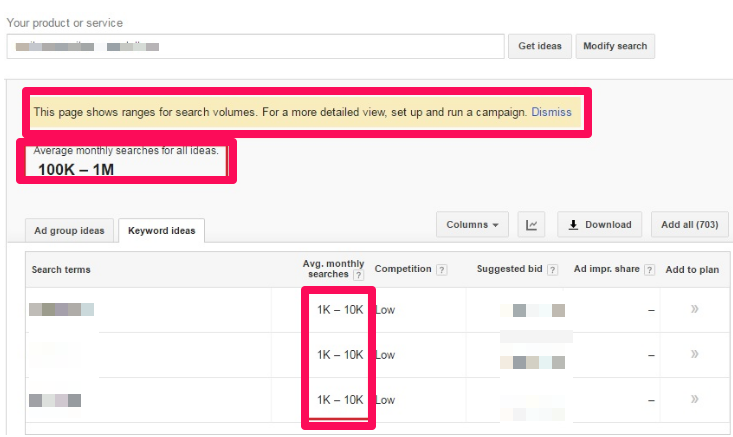 maybe they are planning to make the actual monthly search result available to only advertisers. lets see how it goes, just hope its a bug that would be fixed soon. 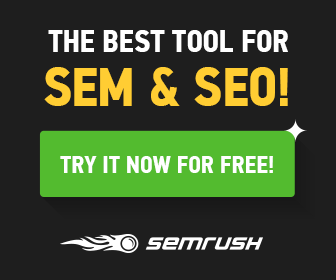 No Responses to "Google Keyword Planner Tool May Not Be Available For Free : Here Is Why"